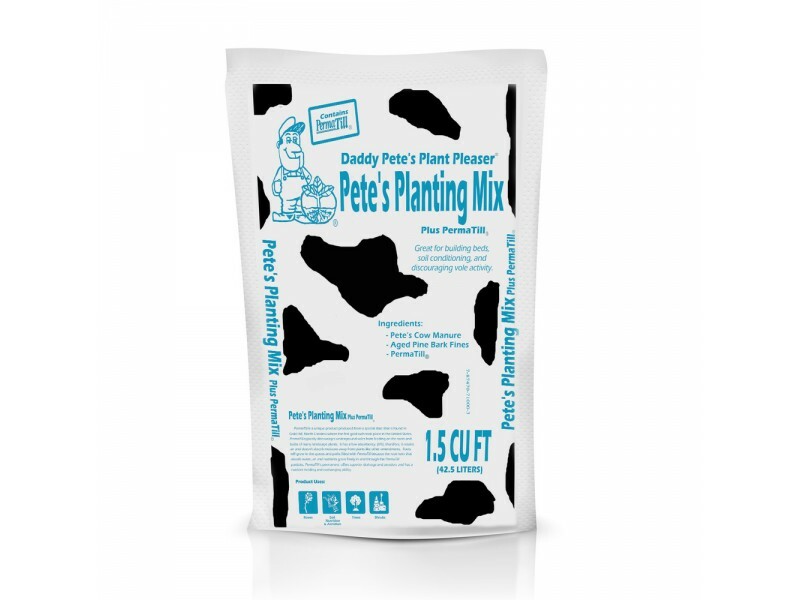 Daddy Pete’s Planting Mix Plus PermaTill® is great for building beds, for soil conditioning, and for discouraging vole activity. 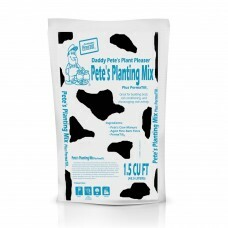 This organic mix consists of Daddy Pete’s Composted Cow Manure, premium aged pine bark fines,and Permatill®. PermaTill® is a unique product produced by a special slate that is found in Gold Hill, North Carolina. PermaTill® discourages underground voles from feeding on the roots and bulbs of many landscape plants. It is permanent, offers superior drainage and aeration, and has a nutrient holding and exchanging ability.